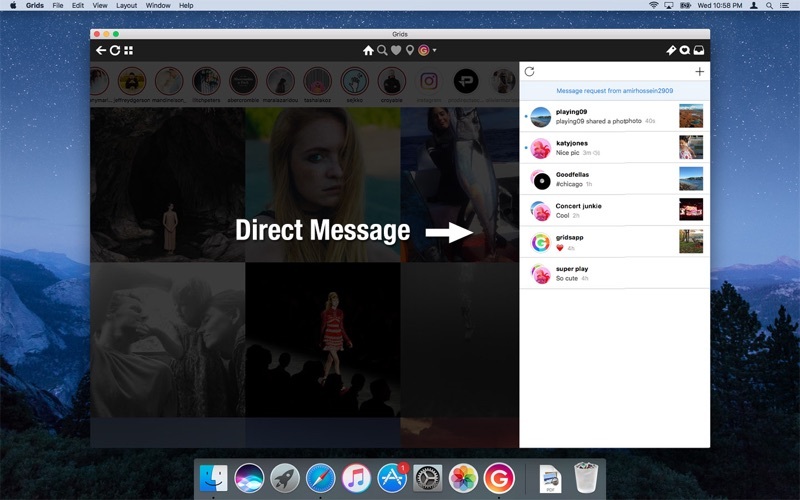 Grids brings the best Instagram experience to your Mac, with Stories (first and only app that supports stories! ), Direct Message and Large/Fullscreen photo and video viewing. As featured on TheNextWeb, AppAdvice, iDownloadBlog, DigitalTrends and many others. Clean, adaptive UI. 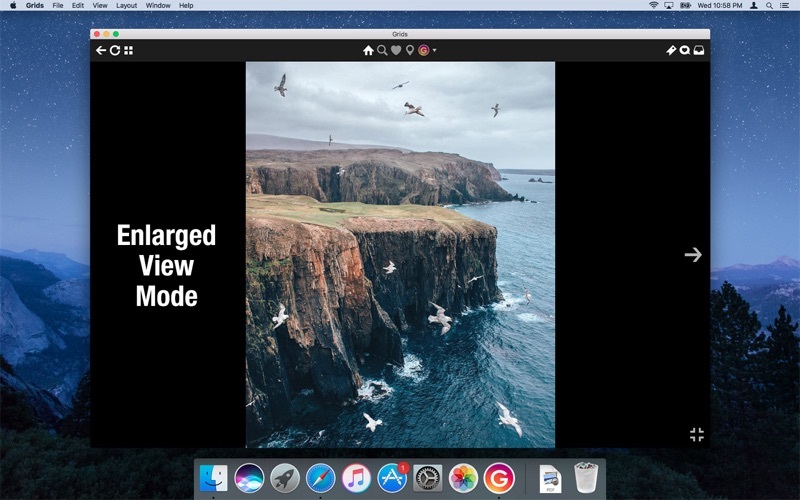 Works at full screen as well as widgetsized window. Pixelperfect layout and rendering. Retina display support. Your Instagram photos never looked this gorgeous. 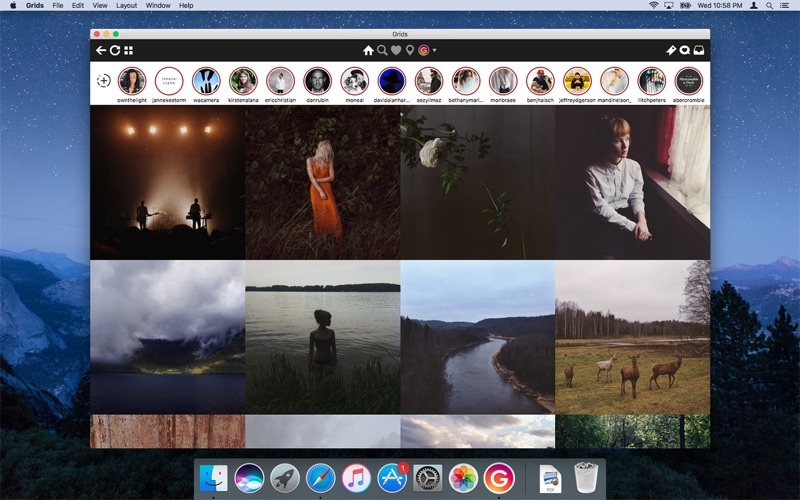 Picture size as well as spacing and background color can be adjusted to your liking. 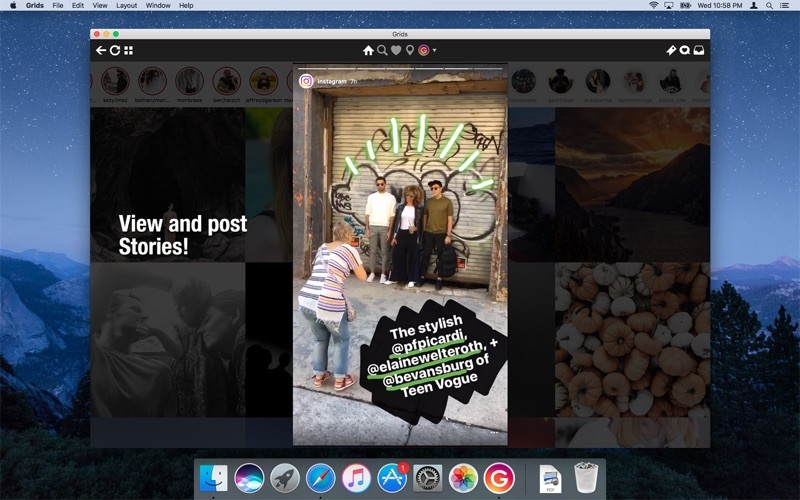 Fastest Instagram browsing experience you will have! Switch between multiple accounts seamlessly. Like, comment, follow, search people and tags. 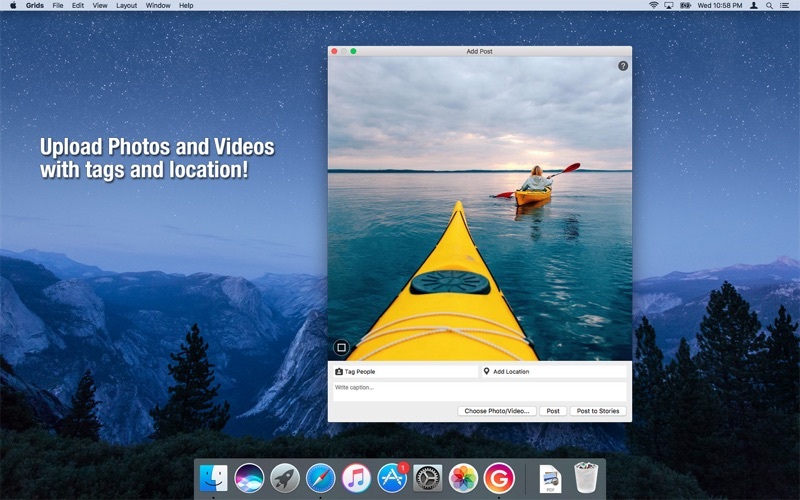 Bookmark allows you to bookmark people (without having to follow them), locations, tags and individual photos or videos (without having to like them). Get notification when new feed is available and/or when there is new followers/likes/comments/mentions.